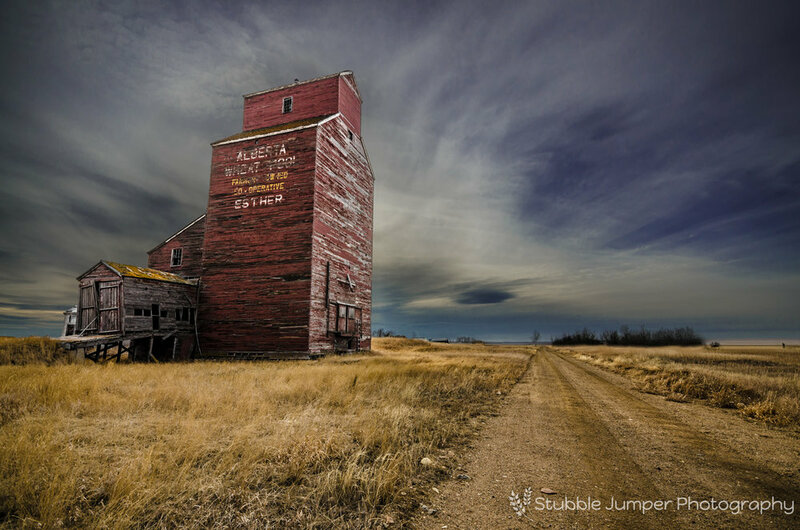 Previously, Skiff, Alberta had three grain elevators. Two of which wore Alberta Wheat Pool colours. 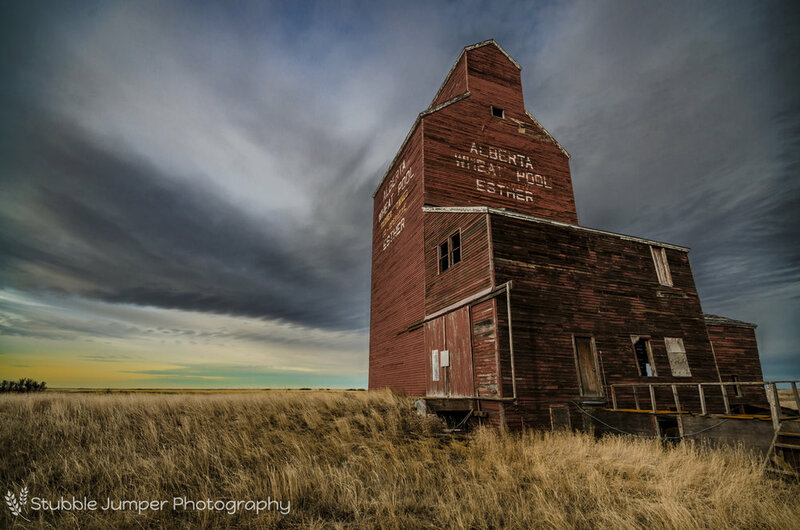 Alberta Wheat Pool No. 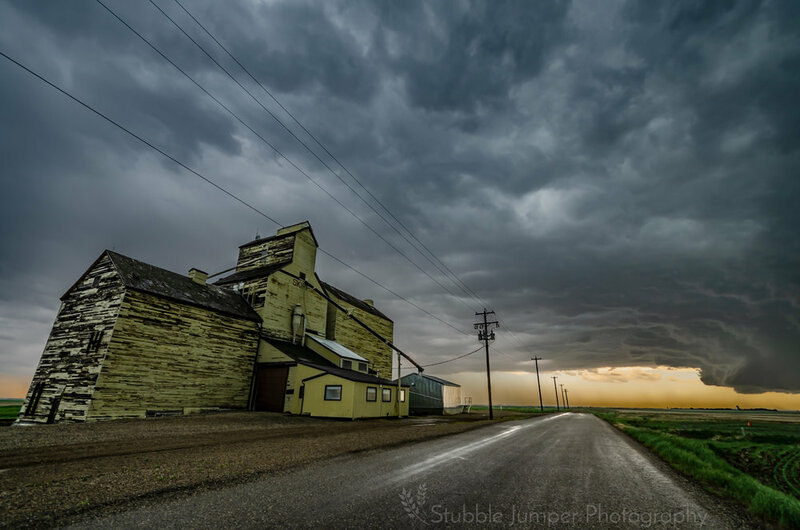 1 was constructed in 1929 and in 1984 merged with Alberta Wheat Pool No. 2 which was built in 1954. Agricore purchased these two elevators in 1998 and demolished them in 2000. 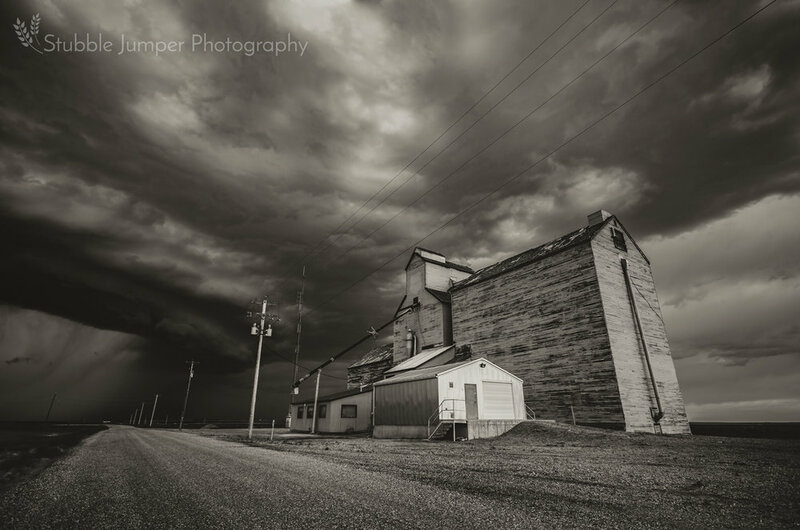 Skiff’s surviving grain elevator was built in 1929 by the Ellison Milling and Elevator Company with a capacity of 123,000 bushels or 3360 tonnes. In August of 1975 Parrish & Heimbecker expanded their wheat and durum milling activity with the purchase of the Ellison Milling Company. 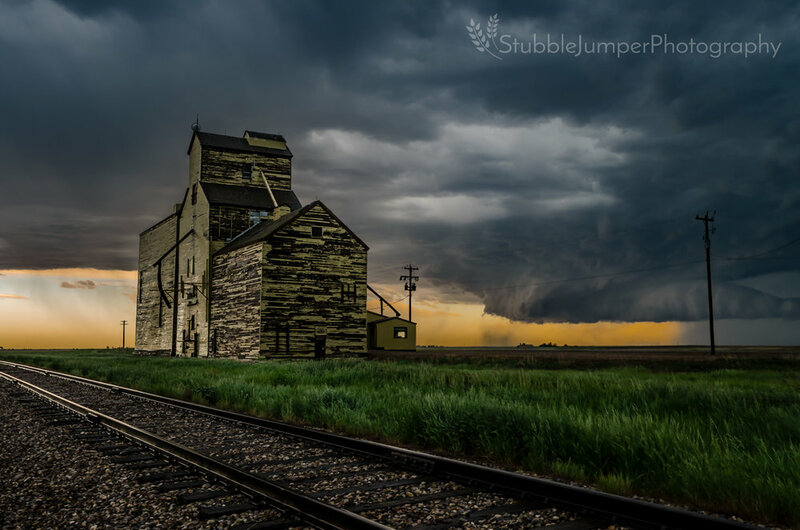 With this addition, the company acquired 12 grain elevators in Southern Alberta. P&H operated their Skiff elevator until June of 2002. 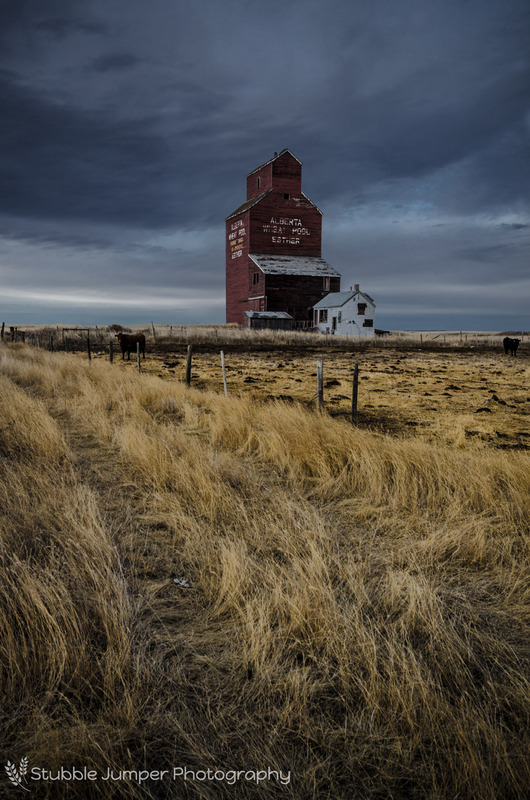 After closing to the public, the elevator was sold to a private farm and is still in use today. Since first opening in 1918, Skiff’s general store has changed hands many times. During the hard times of 1935, Ray Eshom and family moved to Skiff with a vision of rejuvenating the downtrodden business. As times improved, so did their business. During their ownership, the General Store was expanded to include petroleum products, farm machinery, and automobiles. The old store was drafty and cold, so in 1940 the building was expanded and the exterior stuccoed. Skiff’s General Store changed ownership a few more times before closing in the 1990s.